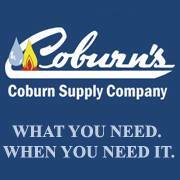 Monday’s member spotlight is on Coburns Supply, located at 470 Springhill Street in Jasper. Visit their showroom where they display a variety of quality plumbing products and accessories for the kitchen and bath. Coburns has a great line of quality products and the ability to meet both commerial and residential customers’ needs in a friendly and timely manner.